A psychology professor and a writer with a Ph.D. in astrophysics combine forces to examine how evolutionary science explains why leaders act the way they do. 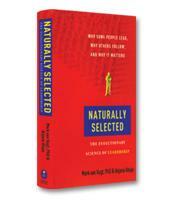 The authors also discuss why humans are predisposed to follow a leader and what leads us to pick the leaders we select. This book helps any organization seek out the people in their company that best fit the authors' description of "Natural Leaders." In the overcrowded field of leadership literature, Mark Van Vugt and Anjana Ahuja present a fascinating and unique look at how evolutionary science explains why our leaders act as they do, why we as humans are programmed to be followers or leaders, and why we pick the leaders that we pick. 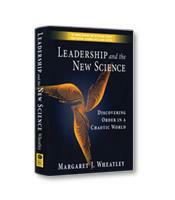 Building on leadership insights from a variety of fields, including psychology, biology, neuroscience, economics, anthropology and primatology, Van Vugt and Ahuja contend in this book that our patterns and behaviors related to leadership and followership evolved over the course of human evolution. As explained in their prologue, the themes and conclusions in the book, which together form what the authors call their evolutionary leadership theory (ELT), are not "balanced precariously on a froth of anecdotes and parable but built on a solid foundation of rigorous observations and experimental data." Much of the research was conducted by Van Vugt, a professor of psychology at VU University Amsterdam and a research associate at the University of Oxford. The book benefits greatly, however, from the participation of journalist Ahuja, a science columnist and feature writer who also holds a PhD in space physics. Whether revealing the politics behind chimpanzee behavior or using game theory to explain how prehistoric hunters on the African savannah survived, the writing is clear, compelling and involving. One of the many insights offered by the authors is that humans are programmed to be followers. It is a question of life or death. On the African savannah two million years ago, those who "followed" were more likely to survive. And since our going-it-alone ancestors often died, it was those with the follower genes who reproduced, creating more and more people with follower genes, the authors write. When you have followers, of course, you need leaders: someone to follow. 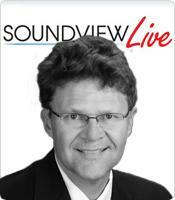 Thus, the rise of followership gave birth to the rise of leadership. If the psychological foundation of leadership evolved from the needs of our human ancestors on the African savannah two million years ago, how does that help us choose the leaders we need for our 21st century lives? The answer from the authors: It often doesn't. That is the reason for what they call the Mismatch Hypothesis. Our brains are hardwired to use criteria from the savannah that no longer applies. Today, a person who is tall has a great advantage in seeking a leadership role over a small person. How many U.S. presidents, for example, have been short? Yet stature hardly plays a role in the keen intellect, decision-making capabilities and relationship skills that are at the heart of good leadership. 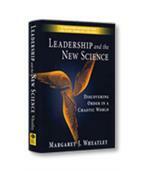 The authors conclude the book with a series of lessons to be learned from their evolutionary leadership theory. The most successful leaders today will be what the authors call Natural Leaders: those who can appeal to the positive elements of our ancestral psychology while disarming the negative elements of that psychology (leaders rely too often on dominant behavior). The practical applications of the book, however, are not confined to this final chapter. Every chapter in Naturally Selected offers readers a new perspective on leadership that will guide and enrich their leadership decisions, both as leaders and as followers.